There was a fresh twist to the John Terry saga last night when it emerged that Everton defender Phil Jagielka will have to pull out of the England squad, putting pressure on Fabio Capello to pick his captain in Saturday’s game against Spain at Wembley. Jagielka has been playing with a hairline fracture to a toe and has required painkilling injections to get through games. Although his form has been good for his club, and Capello is happy with him, the expectation is that the 29-year-old will report for duty at the England hotel on the basis that the medical staff will examine him and send him home. That will leave Capello with just four central defenders including Terry with Phil Jones expected to play right-back and potentially even central midfield against Sweden in the second friendly a week today. It pushes the England manager closer to a situation where he may have no choice but to start one of the games with Terry, the subject of a police investigation into allegations of racist abuse. 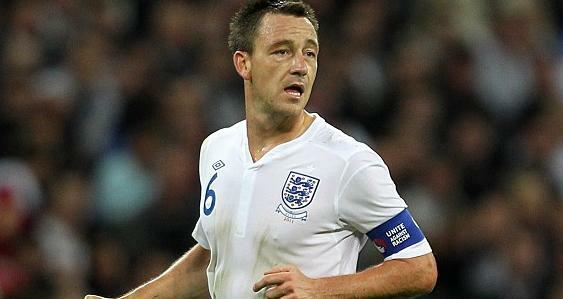 Thus far, Capello has indicated that he will rest Terry for the Spain game and play him against Sweden. Although that decision was made 'for football reasons', unrelated to the allegations concerning Terry and Anton Ferdinand, it also had the useful function of taking Terry out of the spotlight. As captain he would have been expected to speak to the press on Friday. Bringing Terry into the team for Saturday would not be a straightforward decision. However, given that Capello said that the basis for resting him was a football decision it would be hard for him to exclude the player if the injury crisis worsened.